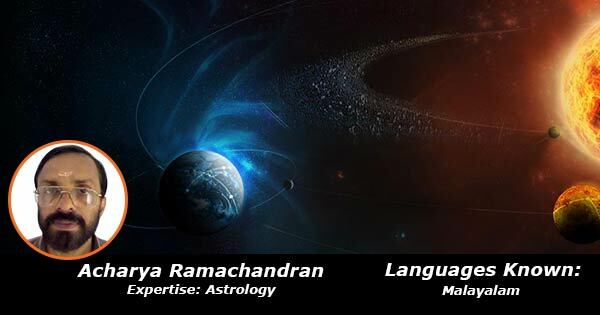 Mr. Ramachandran is an upcoming Astrologer who has managed to establish a strong foothold in the world of Astrology. He had studied astrology from Gurukulam Chepad Rajagopal. Astrologer Ramachandran has been enlisted as one of the most trusted Astrologers among other experts. He is well experienced in Kundali analysis and match making.